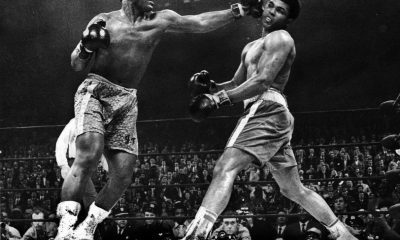 It was a remarkable weekend in February as two massive fight cards scarcely 130 miles apart drew large crowds on the same night despite television and streaming. And one more thing; it was raining and that’s enough to shut down anyone’s plans in California. Wake up newspaper editors. You are losing readers by the hundreds every day. Boxing can save you. I’ll explain later. 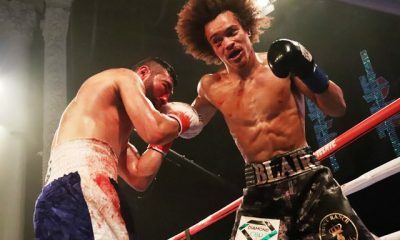 Rival promotion giants Premier Boxing Champions and Golden Boy Promotions slugged it out in Southern California with shows near the ocean at Carson and in the desert town of Indio. Fans by the thousands showed up at both venues despite the threat of bad weather. Fantasy Springs Casino hosted the Golden Boy show that featured its strongest fight card in years. 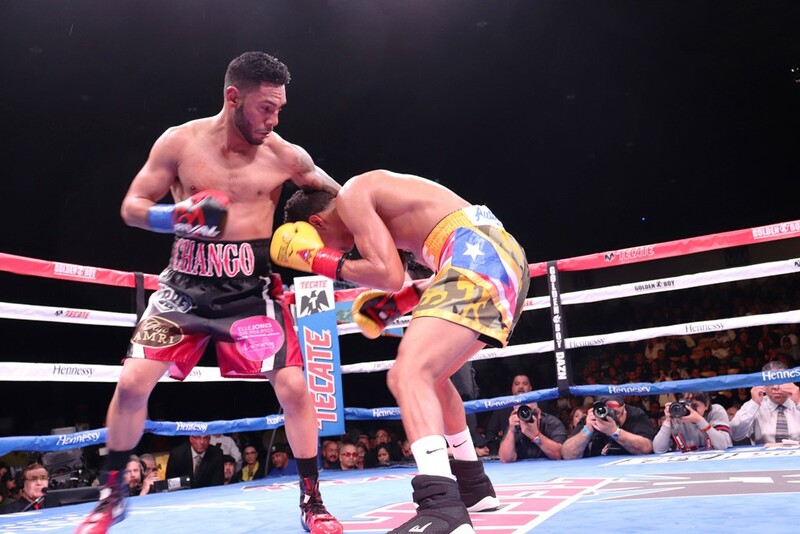 WBC super bantamweight titlist Rey Vargas was floored by virtually unknown Venezuelan slugger Franklin Manzanilla in a frustrating fight for fans. Vargas turned MMA fighter and clinched his way to victory with the aid of point deductions against Manzanilla. 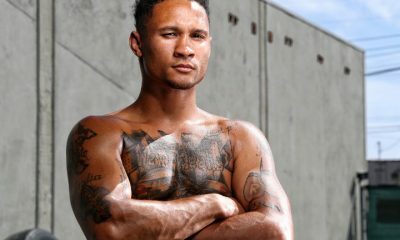 In the other world title fight Andrew “Chango” Cancio upset Puerto Rico’s Alberto “Explosivo” Machado for the WBA super featherweight world title. Cancio floored Machado three times after first hitting the deck himself. The crowd erupted in hysteria after his surprise win. “I don’t know why people underestimate me,” said Cancio calmly with a shrug. I met Cancio around 2005. 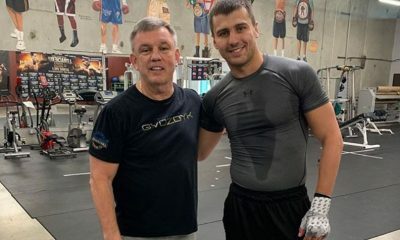 His trainer called up the sports editor and asked if there was any interest in a story about his gym located in remote Blythe, California. Decades earlier I had passed by the small town in the 80s with my family on our way to Arizona. I also met twin brothers from Blythe while attending UCLA. It caught my interest so I told the trainer over the phone to expect us. My photographer at the time had just bought a PT Cruiser and we packed up and drove the 180 miles to the small agricultural town that borders Arizona and the Colorado River. It was not just hot, it was flaming hot like one of those commercials about canned chili beans. In the center of town was the gymnasium where basketball along with boxing took place. Kids were venturing into the sweltering heat and didn’t seem to mind the 100 degree heat at all. The trainer introduced us to a number of youth but seemed extremely high on one teen and that was Andrew Cancio. Cancio was either nervous or a very serious-minded teen at the time. He spoke one sentence at a time and had that steely-eyed look of determination. 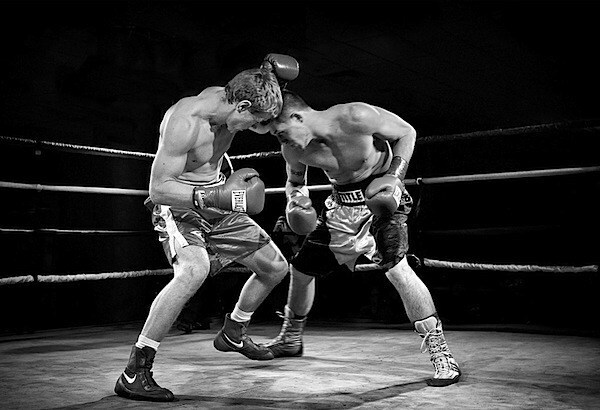 Of course he had the odds stacked against him because small towns don’t offer much competition for sparring. He would soon depart for bigger desert towns like Coachella and Indio. Over the years whenever Cancio would fight I’d make it a point to cover his fights. Some fighters just have that certain something you need to get to the elite level; whether it’s speed, power, height, stamina or just plain grit. You have to have one of these ingredients to make it through that championship doorway. It took 14 years but Cancio finally burst that door open like one of those L.A.P.D. Crash vehicles and snatched the world title from a worthy champion like Machado. After the fight Cancio was rather numb for words. “I don’t know what I’m going to do next,” he said while in deep thought. What a journey it’s been for the fighter from Blythe after all these years. Despite the threat of rain more than 7800 fans showed up last Saturday at the formerly named StubHub Center now called the Dignity Health Sports Park in Carson, Calif. a small suburban city that serves as the temporary home of the LA (formerly San Diego) Chargers and the home of LA Galaxy. Gervonta “Tank” Davis defended a version of the WBA super featherweight world title and demolished Mexico’s Hugo “Cuatito” Ruiz in a mere round. Davis, a southpaw with power, was scheduled to face multi-division world champ Abner Mares in a match between an upstart youth and veteran champion. That was an intriguing matchup that disappeared when Mares suffered another eye injury and was forced to pull out. Kudos to Mares’ wife who forced the Huntington Beach resident to get his eye checked when he complained of not being able to see in certain directions. 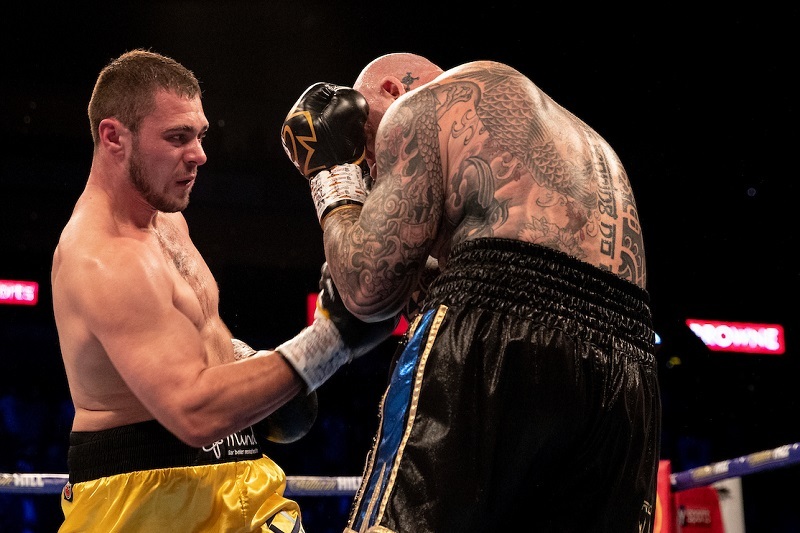 When a prizefighter can’t see properly that’s a recipe for doom. 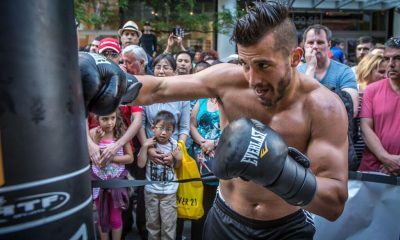 Boxing doesn’t need another champion fighting for his life like Adonis Stevenson who was moved from Quebec City to Montreal on Tuesday according to his spokesperson Meg Sethi. Mares pulled out and Ruiz signed in and was roughhoused by a wicked right hook from the lefty Davis around the Mexican’s guard. 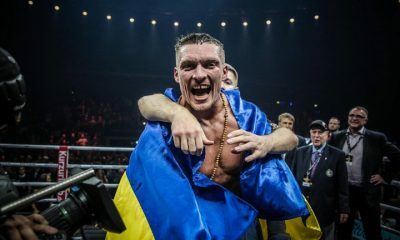 “I wanted to go more rounds, but I knew if I got him out of there early I could fight again sooner,” said Davis who is a former IBF titlist and now owner of one of the WBA super featherweight belts. The other WBA version is now possessed by Cancio. A fight between Davis, who is with Mayweather Promotions, and Cancio who is backed by Golden Boy would be a long shot. The companies do not do business with each other. Davis has an electric punch and an aggressive style that most boxing fans love. Plus he just doesn’t care who he fights and where, though the Baltimore native’s next fight will probably be close to his residence. Because I was in Indio, I watched the replay of the Davis fight on Showtime and saw the large crowd brave the cold weather in the outdoor stadium that can be cold even on a July summer night. Fans are still talking about the walk-in production and Davis’s knockout. Only boxing can bring that combination to life. 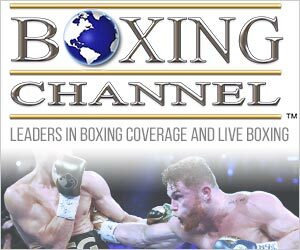 On Sunday the final punch was thrown with Top Rank televising and streaming its very strong fight card that featured WBC super lightweight titlist Jose Carlos Ramirez making a second defense. More than 14,000 showed up at the Save Mart Arena in Fresno. That’s an army of fans showing up on a Sunday afternoon. A number of fights were shown and streamed on ESPN and ESPN+ but the one fight I wanted to watch aside from the world title fight was missing. 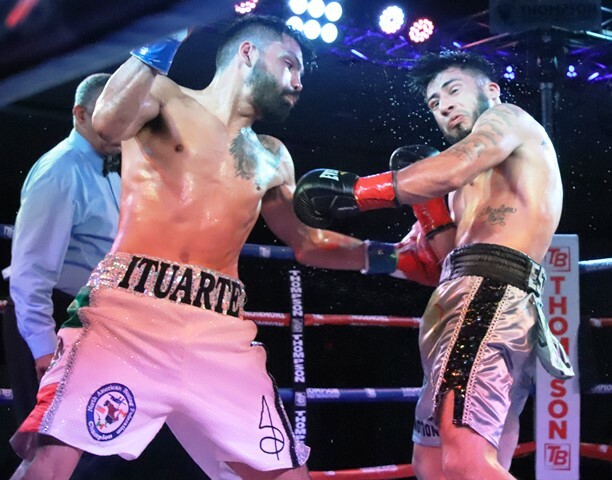 Saul “Neno” Rodriguez who recently re-signed with Top Rank after leaving another promotion company blazed his way to a fifth round obliteration over Brazil’s Aelio Mesquita. Both super featherweights boasted knockout ratios that would make any fighter proud. Rodriguez charged to the forefront and dropped Mesquita several times before electrocuting the Brazilian with a right cross blast that ended the fight. 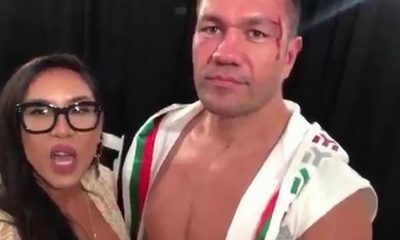 One thing boxing fans like is knockouts. Heck, even MMA fans like knockouts, let’s be honest. Dismissing Rodriguez to the unseen portion of the card was a crying sin. Getting back to newspapers, the declining number of readers buying papers can be stopped. 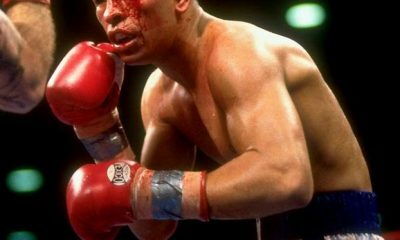 It’s been proven time and again that Latinos and Blacks like boxing. You can bring them back into the fold if you give them what they want to read and that’s boxing coverage. Many Blacks and Latinos do not walk around looking at their phones and scouring the various boxing web sites. There are a large percentage of readers that still read newspapers and would buy them if they could read about boxing. It’s been proven many times by yours truly. I’ve actually owned a newspaper and know a lot about the advertisement portion of the business. Ads on the web don’t pay as much as ads in a newspaper. It’s worth a try. Don’t listen to the millennials with their stats; they can’t reach the real backbone of boxing who still read newspapers. Look at the facts. Despite scant newspaper coverage we saw thousands flock to boxing events from Indio to Fresno in a two day span. That’s hard proof. If you need more proof give me a call. AJ vs. Big Baby Confirmed for June 1: Will Wilder-Fury Steal the Thunder?